Having spared no effort or cost, we present the official start of the year 2013 and a new era in the history of our theater marked with a golden stain on the sheet of History! The Little Theatre of the Green Goose! 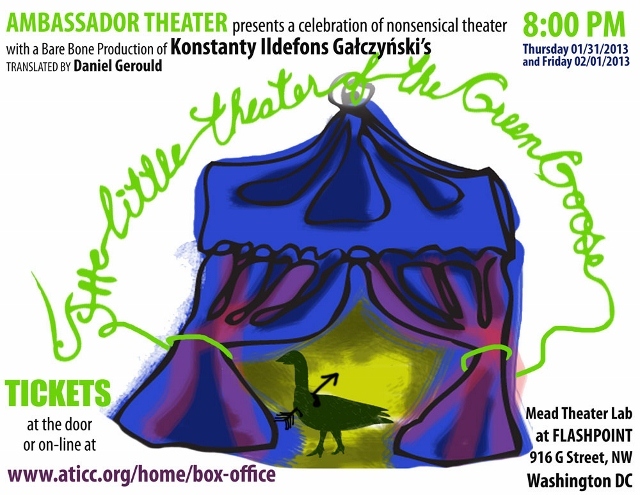 Do not forget to pay for your ticket and enjoy a hilariously funny night of “Monty Python’s style” skits, interludes and the tiniest plays in the world presented by the inimitable Little Theater of the Green Goose! We welcome you with fanfares! Konstanty Ildefons Gałczyński (1905-1953), one of Poland’s most beloved and popular poets, began his career in the mid-1920s writing humorous verse and fantastic stories. Mobilized as a soldier at the outbreak of World War II, he spent the period 1939 to 1945 in a German prisoner-of-war camp. After a year of wandering in Western Europe, Gałczyński returned home to resume his literary career. He began work as a playwright, inventing an imaginary theatre and troupe of performers (animal and human) and contributing a new installment of The Little Theatre of the Green Goose each week to Przekrój (“Profile”), the Crakow literary magazine for which he wrote several hundreds of these short plays in the next four years. Originally intended for reading only, The Green Goose went unperformed in Gałczyński’s lifetime. “The smallest theatre in the world” was by design impossible to stage, or so it seemed according to all known rules of drama. Certainly, by the laws of theatre that had come to prevail in Poland after 1949 – those of socialist realism dictated from the Soviet Union - The Little Theatre of the Green Goose was unacceptable as long as the Stalinists reigned. By 1950 Gałczyński had been forced to curb his high spirits and eventually “close” his theatre. 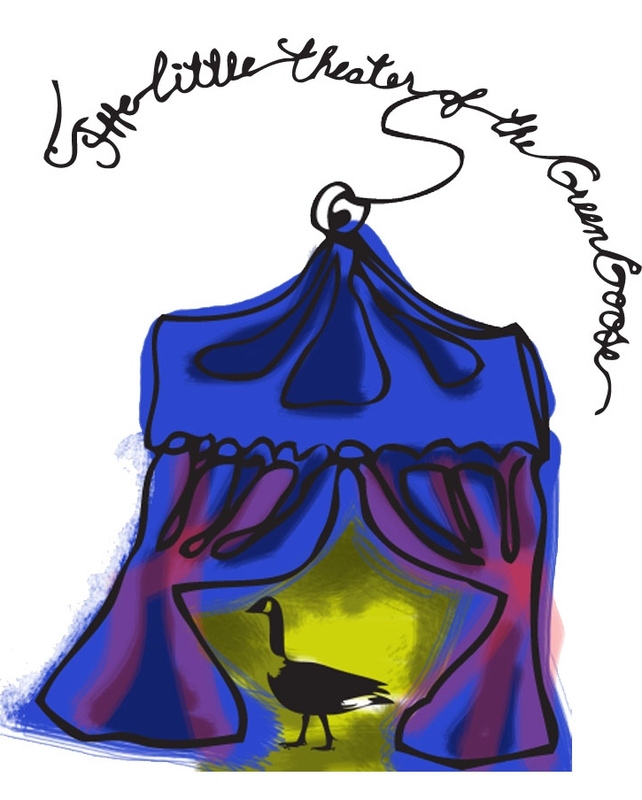 The Little Theatre of the Green Goose was first staged by the Grotesque Puppet Theatre in Crakow in 1955. After the liberalization of the arts brought by the October revolution of 1956, The Green Goose gained a permanent place in the theatre and became a force for the creation of the new Polish drama that flourished in the 1960s. ”Delight in nonsense has its roots in the feeling of freedom we enjoy when we are able to abandon the straightjacket of logic,” writes Freud. A great master of nonsense, Gałczyński offers that feeling of freedom to both readers and theatre-goers. Earlier version of these translations appeared in the Special English Language of Dialogue, Warsaw, 1969 and in Twentieth-Centry Polish Avant-Garde Drama, Ithaca, N.Y., 1977.